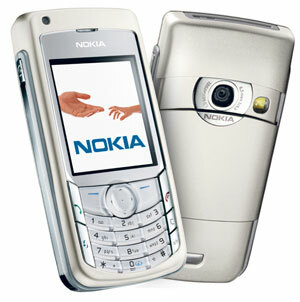 A few weeks ago I was sent a free Nokia 6682 smartphone by the word-of-mouth marketing company called Matchstick. The phone (and a bunch of accessories) were free as long as I could give the product a fair and honest review on this blog. I like free stuff as much as the next guy, so here’s my take on the product. First, I’ve only ever used flip-phones, so the most obvious initial difference for me was that the Nokia 6682 wasn’t one. Ending a call by pushing a button instead of closing my phone and locking the keypad were the toughest new hurdles to get over. The other disadvantage was that the screen is easily scratched since it’s not protected. If this is to be the paragraph describing the shortcomings of the phone, the only other problem is that it’s a relatively heavy mobile. The advantages, however, outweigh the disadvantages. I’ve never owned a “smartphone” version of a cellphone. As I read online, as smartphone is a cellular telephone that integrates features of a PDA. Well… most basic phones have a calendar, and a contact list you may say, but this phone makes them easier to use (instead of just some extraneous feature). At one time I’d ask, why on earth would I keep my calendar on my phone? This phone is the first for me that puts my mobile on the other side of that convenience divide. Other, now useful feature include a highly improved wap web browser. I’ve added gmail, wikipedia (wapedia), and Google Maps to my phone. This even inspired me to upgrade my Rogers plan by $5 a month so that I could play with an extra (wait for it) 2MB of data! One trip on Google maps cost me about 300 KB of data, so I won’t be playing with that program too much (that’s the plan anyways). WAP browsing is now easier, however, I believe that this is only a transitory standard (in North America anyways) because we’ll all soon be surfing the real internet via EDGE and EVDO on our mobile devices (some of you already are). This brings me to another point that I’d like to make. No cellphone carrier (as far as I know) in Canada offers an unlimited data plan for cellphones (Blackberry yes, but not the cellphone). 2 MB for $5 a month? You’d think we were in the initial dialup days of the commercial web (we used to pay by the hour back in ’95). Overages on a standard Rogers plan are 5 cents per KB. My super-improved plan puts this at 3 cents per KB. To put this in perspective, a standard 3.5 MB song would cost $175 to download on Rogers’ standard plan and $50 on mine ($5 for 2 MB, $45 for the extra 1.5MB leftover). My phone, for example, could download the CBC National news feed (http://www.cbc.ca/clips/national/thenational.ram), however, I can’t imagine how much this would cost me. Actually, I checked… the feed downloads to 106.5 MB or $5325 on Rogers’ standard plan. And that’s just one night’s newscast. C’mon guys, get with the market and offer us a realistic data plan! Nokia brand phones are a great phone to own because it seems to that everyone owns/owned a Nokia phone (at least until Motorola’s hugely successful Razr debuted). This means that there’s a huge amount of data out there for customizing your telephone (wallpapers, ringtones, skins etc.) Perhaps my greatest download was a cellphone based Nintendo emulator. Forget the crappy Java games at $3 a pop(cap), buy this emulator and play Super Mario while you’re at the airport! Another huge plus on the phone is the camera. I never carry a digital camera when I’m out with friends or at a party. This phone means I’ve always got a (decent) camera on me. The camera is easily accessed within the phone at at 1.3 megapixels per shot, the photo resolution is decent enough for full-screen display on a computer monitor (or smaller prints). Matchstick also sent me a 512 MB memory card for my phone (allowing the phone to store over 750 pictures — or 1 hour of video). I was also sent one of those Bluetooth earpieces for handfree talk. It works just fine, but I don’t want to be “that guy”. While they may be a fashion accessory to some, most of the times they look silly (in my opinion). Finally, perhaps the most convenient feature of the phone is the computer-phone bridging software that comes with it. With my previous Motorola phones this software cost extra and was limited. The Nokia suite allows syncing with Outlook (contacts, calendar, and notes), and downloads photos easily over the USB connection. So, that’s the honest and fair review. I would recommend the phone if you’re looking for a mobile that is useful beyond telephony. However, I’m looking forward to the day that the service plans catch up with the technology.